Press Release: Harvest Happiness with The Nature’s Co. this Pongal - Divassence! Pongal, being a traditional occasion for expressing gratitude to nature and having an astronomical significance as it marks the auspicious beginning of Uttarayana, is celebrated every year with merrymaking and feasting, re-bonding with family and friends and exchanging gifts. The Nature’s Co. announces their exciting offers in the harvest season to greet their Chennai customers and add exuberance to the festive mood by giving a Flat 25% off on all their products. The Nature’s Co. doesn’t fail to enchant and delight all by offering complimentary express spas and loyalty cards on any purchases made from the 6th to the 16th of January’14. 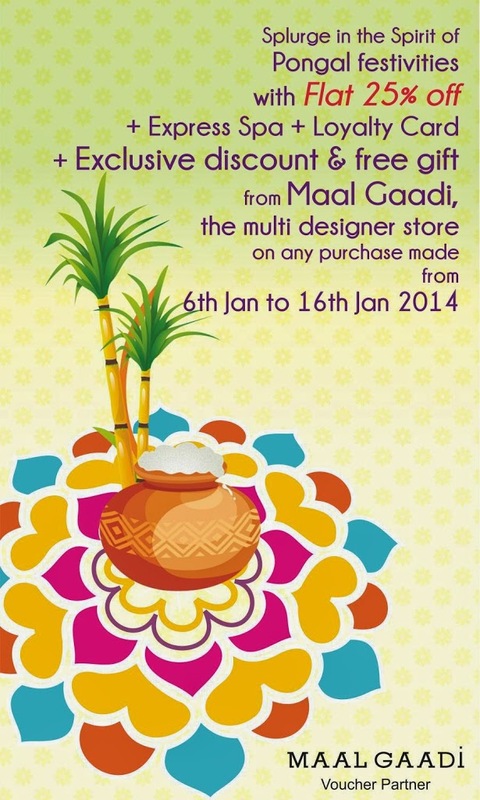 To add fervour to the festivities, The Nature’s Co. has also got Maal Gaadi, the brand new multi designer store at Besant Nagar, Chennai, on board who will be giving free gifts and exclusive discounts to all TNC Chennai customers on their purchases! Chennai-ites, doesn’t this sound like the perfect indulgence this Pongal? Press Release: The Nature’s Co. Christmas Treats: Upto 50% discount! ← Divassence’s Valentine’s Day Giveaway: Enter and win a MAC lipstick of your choice and other goodies!